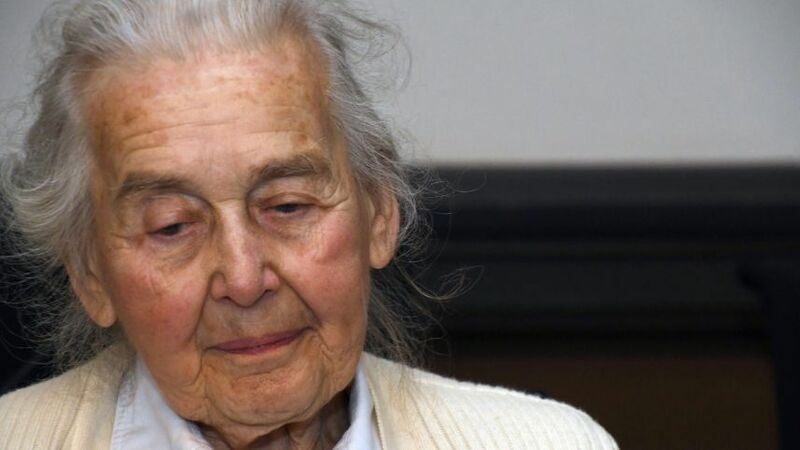 A notorious 88-year-old Holocaust denier dubbed the "Nazi grandma" by German media was sentenced to two-and-a-half years in prison on charges of sedition relating to her claim that Auschwitz was never used for mass extermination. Ursula Haverbeck, whose criminal record includes other denials of the Holocaust, wrote several contributions to the magazine Stimme des Reiches (Voice of the Reich), in which she denied the existence of the Holocaust. In her closing words of the trial, she spoke of an "Auschwitz lie", claiming the Nazi camp in Poland was not an extermination camp, but instead merely a labor camp. In Germany, anyone who publicly endorses, denies or plays down the mass murder of Jews and other groups of people who were thought undesirable during the Third Reich faces a maximum penalty of five years in jail and a minimum of a fine. Judge Christoph Neelsen said in his sentencing speech that Haverbeck refused to see reason and explicitly denied the Holocaust. I wish we had laws like this in the United States! Personally I think she deserves the death sentence. With any luck she'll die in prison. Let her fate serve as a reminder that you better think twice before questioning who rules over you. We can change that with ridicule. Coming to your shore soon if you don't. If the democrats had their way, we probably would have laws like that here in the states. The first amendment isn't there to protect popular speech, it's there to guarantee we have the right to say the things others don't want to hear. Limiting free speech limits rightful liberty. so a person can be thrown in prison for voicing an opinion, however idiotic it may be, in germany in 2016............... how is that different to germany 1940? Why do you people try and discuss with this communist known as sub-human? That was last year. Now I'm alt-marxfunk. Don't let my superior intelligence intimidate you from participation. Beat me to it. Stay safe where ever you are brother. These days are getting a little rough with the left. We have Louisiana covered. Liberty or Death.